Headed out soon for Ricky Tim's Super Quilt Seminar in New Orleans. Meeting some quilty girls in Gonzales and we'll ride together. Kind of getting excited. Don't really know what to expect, but I know I'll pick up some great new ideas. Up early to vacuum and steam clean the carpet and get the laundry started. Am I the only one who saves all the chores for the weekend and then dreads having them steal the whole weekend from me. Went to Mom's to pickup my new flex card and then we went out to Pimanyoli's for lunch. It's a really upscale barbecue place. I had the bet smoked chicken panini and it was very filling. Afterwards, we went by the retreat house to pickup the night light I forgot and then around the corner to All-Brands to pickup a stitch in the ditch foot for my Janome. Ended up helping Mom pick out some fabrics for a Patch No Work quilt pattern. It's gonna turn out really nice. And FINALLY, off to Sam's Club, which was the reason for the whole trip in the first place. Paid for my glasses, which I picked out last week. Helped Claude pick out frames for his. Did some shopping in there and then came home. Back to laundry............only 4 loads left for the day. Should leave plenty of time for catching up on all my favorite blogs. Been busy busy working on my calendar. I'm trying to layout a bare bones calendar with the major events on it so that I can get a handle on what's going on when. I hate being sooo booked up that I can't get a break. I enjoy going out of town and having adventures, but not EVERY weekend. I'm laying things out on my calendar so I can figure out my To Do List. I don't want to have everything sneak up on me at the last minute. That makes it stressful and takes the fun out of the vacation. Ricky Tim's Super Quilt Seminar is next weekend in New Orleans. I am looking forward to it, but not the drive down (75 miles) each day. There'll be three of us sharing the gas and we'll be able to visit on the way, so it won't be too bad. I have one friend who has been to one of his talks in Paducah and she really enjoyed it. Other friends don't like the idea of a "lecture" and chose to take off for a class in Florida. I figure, how many times is Ricky Tims going to come anywhere near where I live, so I should take advantage, while I can. SuperBowl weekend will be spent on a retreat with a different group of quilty friends. Just had a retreat last weekend and totally enjoyed ourselves. My stuff is not really even unpacked and I'm debating as to whether it is worth unpacking or not. Maybe I'll just spend some time cutting and the like to get ready. The first group was small (only 6) and kind of laid back and calm and "no pressure". This next group is a larger one and has a whole different personality. This group is wild and crazy and there will be dacquiris involved. And lots of football. I need to make sure I have some quilts to bind so I can adjourn to the other room for a break from football from time to time. And I ate so much last weekend, that I fear that the coming weekend will test my resolve on the diet front. We're taking a trip to DisneyWorld for my birthday and Mardi Gras next month. We'll be staying at Disney Vacation Club's Saratoga Springs for a whole week. Looking forward to getting away. The food will be fabulous and of course we'll be walking our tails off. I'm only hoping my ankle holds up without getting sore and/or swelling. By that time, it'll have been 6 months since my Achilles Tendon Surgery so I would like to think I'm healed, but you know how that goes. We'll just have to take it slow and not overdo it. In March, we'll take another trip to Houston for the 19th Annual Houston Lure and Tackle Show (oh joy! NOT). Claude is crazy for Louisiana-made antique fishing lures. I'll probably spend my time touring the quilt shops (lots to choose from) and IKEA. Maybe I'll even take a drive out to Humble to see my old high school. Easter weekend, Mom and I will get going to see Straight No Chaser at the River Center. Really really looking forward to seeing them. I have three of their CDs and a DVD. I listent to them in my iPod. Once, April comes, Claude will spend every weekend at the condo fishing for Pompano and I'll have a break for a while. 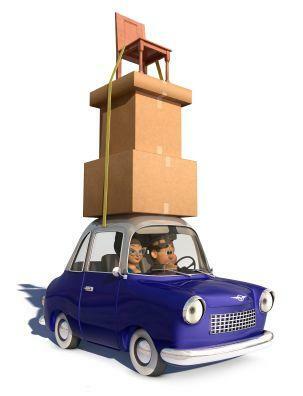 That's lots of packing and unpacking. And there are doctor's appointments and preparing/planting the garden and getting the vehicles ready for the trips and countless other things (including work) thrown in there to coordinate. Whew! I guess now you see why I've been examining the calendar. I've been sooo looking forward to this quilting retreat. I have been having trouble getting motivated and I have not sewn since back about Thanksgiving. I was glad to be coming on this retreat so that I would be locked here in the house with a bunch of my quilty girls and my sewing machine and I would have no choice. Friday, it took me a while to get started. I kept procrastinating. I had dinner to cook so it was easy for me to make excuses. I did actually get borders on a quilt for Norma. I only put on 2 of the 3 borders that were intended, but I decided that two was enough. I was just tired of working on that quilt. Saturday morning, we made a quick trip out to Daisy's Cottage Creations. Several of our group had never been there. They'll be going back! After lunch I had an appointment to get my nails done. I don't really like to leave in the middle, but it was the only time I could get an appointment. Saturday afternoon, I broke out some batiks that I like and made up a pattern to make for Shannon. I owe her a quilt. She's the last one in the family and I missed her birthday. She got an IOU in her birthday card. It was a Bento Box. I got it cut and all the strip sets sewn together. Sunday, I got the blocks sewn, layed out and then got the rows sewn together. We popped out to Albasha's for some greek food. After so much grazing on junk food, it was nice to have a more structured meal and something that was very different than what we'd been having. Monday morning, I got all the rows sewn into a top. I have some fabric at home that I think will make a beautiful border. I hope it'll go with this quilt. If not, I'll find something. Next, I broke out some fabric that needed to be cut. I bought the kit at Mama's Quilt Shop on sale after Christmas. I wish I'd had the opportunity to read the pattern before I bought it. It was a Snail's Trail and I loved the fabrics. I always wanted to make a Snail's Trail. Then I opened the pattern and found that I had to cut pieces that were 6-7/8", 5-1/4", 3-7/8", 2-5/8". Aaaahhhhhh! When I wasn't working on my stuff, I helped Mom with the layout on her quilt. It had tiny pieces and was hard to keep straight. It was a small landscape made out of 1-1/2 or 2 inch blocks. Not me, honey! I also helped Sarah. Poor thing. She had these paper pieced log cabins that she's been working on (or not) for the the past 4 years. She hated the quilt and she hated the fabrics, as well, but it was a wedding gift for her daughter (a few years late). I kept cracking the whip to keep her going. She got the last 6 blocks completed and then we decided on a layout and she got all the blocks together. After that she had to break out the Ben and Jerry's. She deserved every bite of it. And the quilt is gorgeous to boot! Tai had never done a bargello quilt and wasn't really sure of the best way to do it, but she was adventurous. We all collaborated and contributed ideas. It came out sooooo cute! She has a good eye for fabric. Karen was working on the borders for Judy Laquidara's Connect the Dots. There are seven, count 'em seven, borders on that quilt and one of them is a pieced border. It took her most of the retreat just doing borders on that quilt. She's keeping that quilt, and I don't blame her. Jackie was trying quilting on her domestic machine for the first time on a pretty big quilt. She was very hesitant, but she persevered and she learned a lot on this quilt. It's finally here! Retreat is tomorrow and I've let it sneak up on me. So much to do - buy groceries, organize projects, do laundry, pack car, put out food for the babies and enjoy myself. 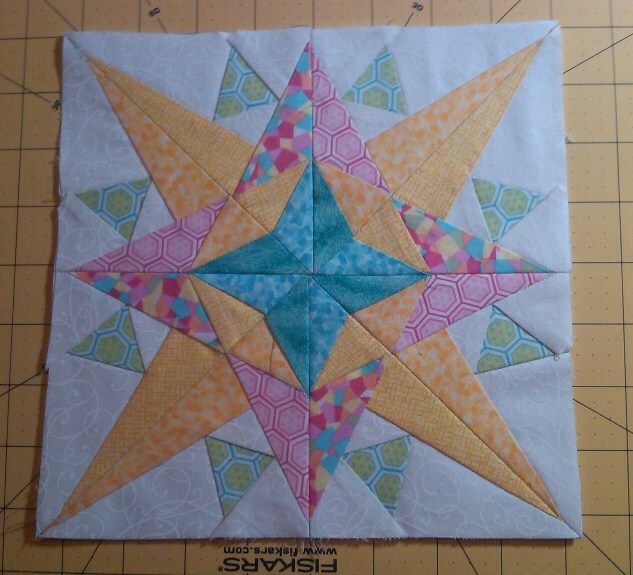 I've really been missing my quilty time, but I have not been able to get in the mood. I can't get inspired. Or maybe that's not right. I read your blogs and I get totally inspired. I have a wish list in the back of my mind that gets longer and longer, but lately I just can't seem to put it into action. This retreat is coming at the perfect time. I need to be booted out of this rut I'm in. It's time for some accomplishment, for a change. My UFO list is long. My "Would Love To Do" list is also long. My stash is large. Need to get going! Bonnie's birthday box was in the mail yesterday. I guess she'll get it as soon as she returns from her most recent trip. That's really about all I accomplished this weekend. I was not feeling well and could not get inspired to do much. I did make a stab at getting a couple of things together for my retreat this weekend. 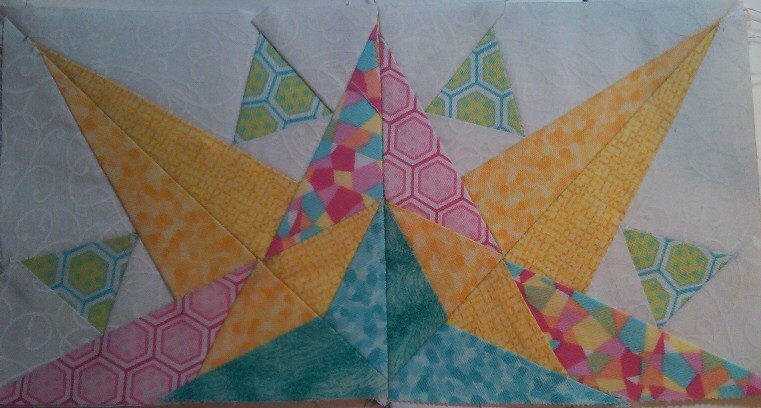 I'm excited to spend a few days with my quiltie girls and actually get something done. I won't be distracted by housework and I won't have any excuses. UFOs have been piled up and this weekend will be about getting a few of them out of there, or at least back on track. I'll post pictures when we have some progress. I opened my Quilter's Newletter today and turned the page to see "Winter Wonderland". Of course, I immediately said to myself, that's Leah's quilt! I looked on to see Stone Portals and Fossil Snail and Cubing and then of course, your shining face. I was immediately so proud of you and so excited for you. I was at home alone and wanted to immediately get on the phone and tell somebody that a friend of mine was in the magazine. Does it surprise you to know that we think of you that way? It was a surprise to me too. It's hard to believe that I can feel that way toward somebody I've never met or had any kind of relationship with. I only found your website a couple of months back, but I now have your books and have read and viewed for hours on your website. You reveal so much of yourself on there that I feel like I know you. You inspire me so much. I am good about finding something I like and reading about it and saying how much it inspires me, but I am also good about never following through. You have me inspired now. I even made test quilt sandwiches to practice on and plan to start this weekend. You've inspired me enough (somebody finally had to) to get me off the couch and in there to quilt. I love your website and just want you to know how much you mean to us and that we consider you our friend. Is avoidance necessarily a bad thing? Sometimes, avoidance is the biggest motivator in the world. There are times when I will do anything and everything (including laundry and carpet cleaning and other less than desirable tasks) to avoid doing the one thing that I need to do. Other times, avoidance is just plain avoidance and leads to absolutely nothing. It leads to spending all day long watching television or just running around in circles accomplishing not a single thing. Guess which phase of avoidance I have been in the last few days. The frustrating part of the whole avoidance thing is that I frequently tend to let the object of my avoidance to grow in importance over time. Then one day when I finally do get around to dealing with the thing, it turns out that it was really not that big of a deal. And I can't even figure out why I waited so long. Today is the first Wednesday of the year and therefore it was the first weigh-in for our workplace Be a Loser! contest. With everything I have been eating in the last two weeks, the first weigh-in number was almost more than I could deal with. I take comfort in believing that I won't see that number any more after today. Today is also the first Wednesday of the first Quilt Along at the Free Motion Quilting Project. I have committed to following along. I am also committed to following along with the 2012 Free Motion Quiltling Challenge at SewCalGal. I really would like to improve my skill and comfort level with free motion quilting. I know that practice, practice, practice is the key to accomplishing my goals and yet, I can't seem to get started. I feel sure that both of these projects will help me achieve those goals. It's perfect that these two projects have come along at this point in time. Good luck to me! And to all of you! Having so many days off sure does put a kink in things. I totally lost track of what day it was and fell into the rhythm of sleeping late and staying up late, etc. Last night I was in bed by 11:30pm but still awake at 12:15am. This morning was truly a rude awakening when the alarm went off at 5:20am. Then, after getting up and getting ready for work, I opened the door to be hit in the face by an arctic blast. Did the temperature drop like 20 degrees over night? You'd think it was supposed to be Winter or something. Don't you know this is Louisiana! After work, I was off to the gym for my first workout of 2012 with my trainer. As expected, I had not even set foot in the gym since the last time I saw her a week and a half ago. Told you about how those days off put a kink in things. Well, my muscles had so many kinks, you should have heard me creaking and groaning. You weren't there were you? Could you hear me from across the room? I sure hope not. How embarrassing! The gym sure was more crowded than usual today. Hah! Like I would know! No, really. I was in the gym at least once or twice a week for all of December and it was like a ghost town in there. I guess everybody is starting off the year trying to exert their New Year's resolutions. Well, the man in my life left this morning to be gone until Saturday. Hallelujah! I cleaned house yesterday and probably won't have to again until about 5 minutes after he returns. He is such a litter bug and totally disorganized. It's nice to have a vacation from that every now and then. It's my first Design Wall Monday and this Carol Doak Mariner's Compass Star named Sweden is on my wall. I shrunk it from 12 inches down to 8 inches. I'm thinking on how to quilt it now. I'll be entering it in our quilt guild's AAQI Challenge. To check out what others have on their design walls this Monday, go to Patchwork Times. Wow! I didn't realize that paper piecing was so hard. It was a learning experience, for sure. And it takes a long time, too. I guess it did'n't help that I picked one with so many pieces. I think it turned out pretty well for a first attempt. I'm thinking of quilting this one and finishing it for my entry to the guild AAQI Challenge. I have had Carol Doak's "Mariner's Compass Stars" for quite some time now, but I have never tried any of the designs. Today was my first attempt at it. It's coming along so far, I think.